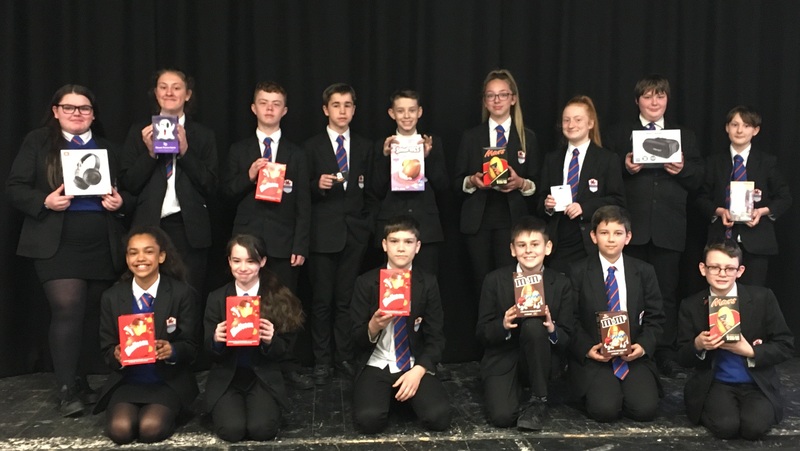 Whitmore celebrated the end of another successful term with the ‘In It to Win It’ raffle draw. 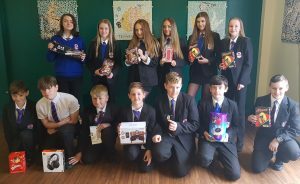 As usual, KS3 were very excited to see what they had a chance of winning. 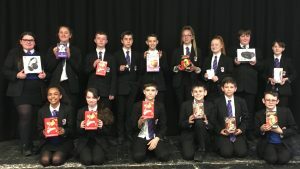 Every pupil had at least one ticket in the draw and were eager to get their hands on one of the many prizes. 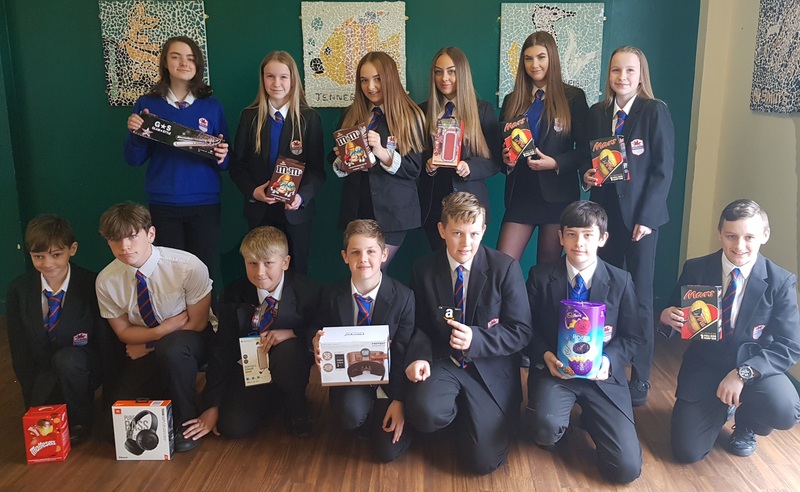 The prizes this term included waterproof Bluetooth speakers, headphones, virtual reality headsets and of course the obligatory Easter or two. Of course you have to be in to win, and it was great to see so many smiling faces as the winners were called out. 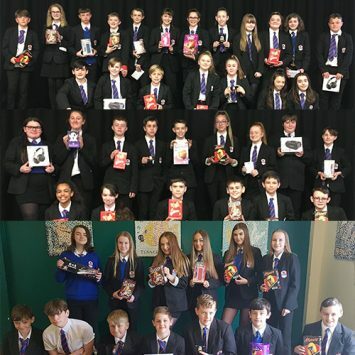 The final draw will take place at the end of the summer term, when more fantastic prizes will be on offer. Just keep up the high attendance; aim for excellence and keep striving for school success. And remember you have to be in it, to win it. Happy Easter.